The Milano II 400 is a contemporary bathroom basin which is the ideal choice for compact bathrooms. 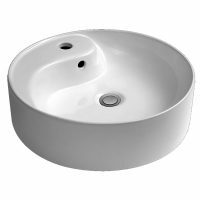 With a simple, no-fuss design, it is made out of vitreous china, and will add a practical touch to any bathroom. The Milano II 400 features a capacity of 2.4 litres and measures 400x360mm in dimensions. 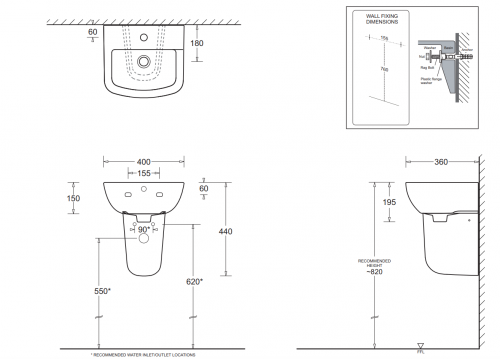 It includes a single tap hole and is available with or without a pedestal/shroud. 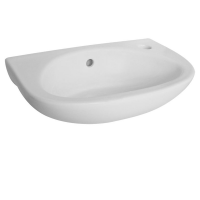 Lend a functional to your bathroom with the Milano II 400 basin. It is crafted to perfection and comes equipped with a plastic overflow plug and waste. 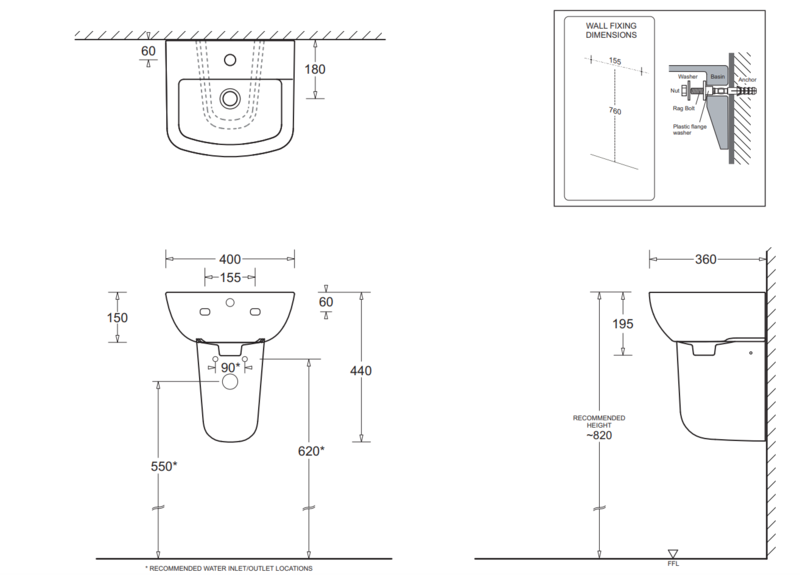 Due to its wide soap platform and easy to use design, this bathroom basin is designed with functionality first. Experience the highest standards of quality with the Milano II 400 basin. Due to the superior quality of manufacturing, it offers enhanced longevity. 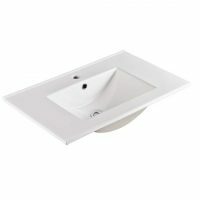 For compact bathroom basins in Perth, choose the Milano II 400 at Ross’s Discount Home Centre. 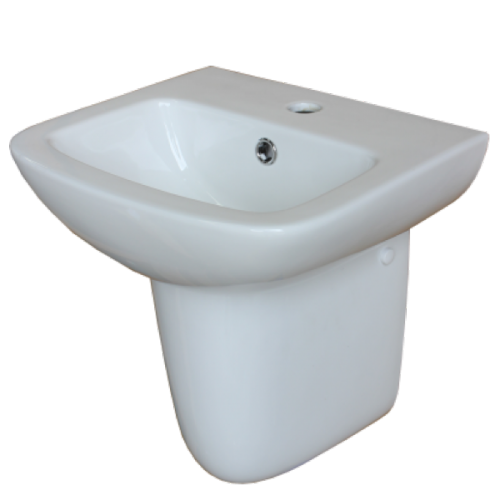 Buy this attractive basin at the lowest price in the market from our online store today and take advantage of our free delivery across Perth Metro!